The Essex County Fish Hatchery is operated by the Fisheries Division of the Essex County DPW. 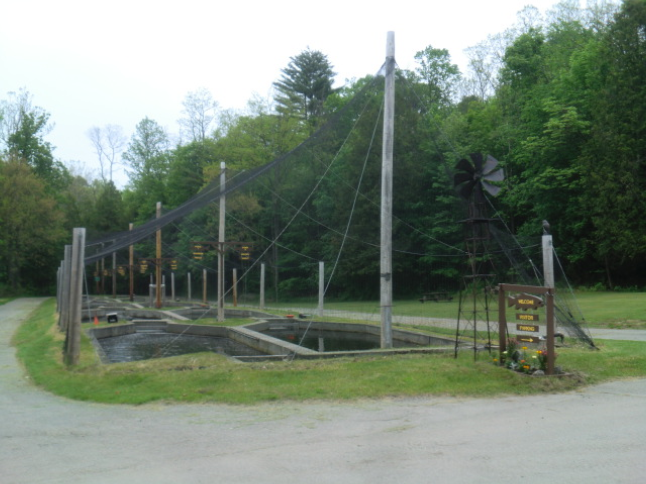 The hatchery has been in operation since 1928, Essex County obtained the facility from New York State in 1982. Since then the hatchery has been very successful at raising brook trout, rainbow trout, and brown trout. The hatchery property contains 41 acres in the Town of Crown Point along Putnam Creek. The fish raised here are stocked throughout Essex County waters in all 18 towns. Please refer to our stocking list (2018 Actual By Date) for more information on location and numbers. The hatchery plays a vital role in helping keep the balance between recreational fishing opportunities and native species population preservation.